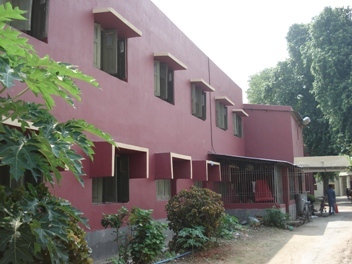 There are four hostels in the college campus to provide accomodation to 240 students including one, which is exclusively for SC students with capacity of 30 students.The Hostel is among the largest hostels in PU, offering the basic amenities to provide maximum opportunity for growth and self-empowerment. Each hostel has its own mess, common room, generator facility,internet access and space for indoor and outdoor sports. The hostel common room subscribes to newspapers and magazines regularly. Students are provided with safe drinking water through aquaguard. The University dispensary / Red Cross clinic provides medical attention to the boarders whenever they need it. Students of the hostel practice Yoga every morning. All selected students who need the hostel accomodation are required to apply in the prescribed application form obtainable from the office on payment. Admission in the hostel is in accordance with the results of the Entrance Examination. Boarders are required to join the mess. The mess offers hygeinic meals at moderate rates. The mess charge at present is Rs.2100/- only per month. This charge is subject to revision from time to time depending on the market trend. A boarder has to pay the mess charge for the full session even if she is absent for some personal reasons. Boarders are expected to observe the rules and regulations of hostels prescribed for them as well as the social norms that living together demands. Failure to observe discipline or violation of rules and regulations may make a student liable to disciplinary action, which may result in expulsion from hostel. If a student does not appear at the final examination or fails, she has to apply afresh for the hostel accommodation. The Hostel Committee makes allotments of seats before the commencement of classes. Students belonging to the Schedule Caste or Schedule Tribe (SC / ST) will be given preference in the allotment of hostel accommodation in the Hostel Welfare.